My son is learning to tie his shoes, but he hasn’t quite mastered it yet. To make putting his shoes on a little easier, I switched his laces out with some elastic. I didn’t want to buy him Velcro shoes, and he likes the look of shoes with laces better (so do I…Velcro shoes remind me of the ’80s). 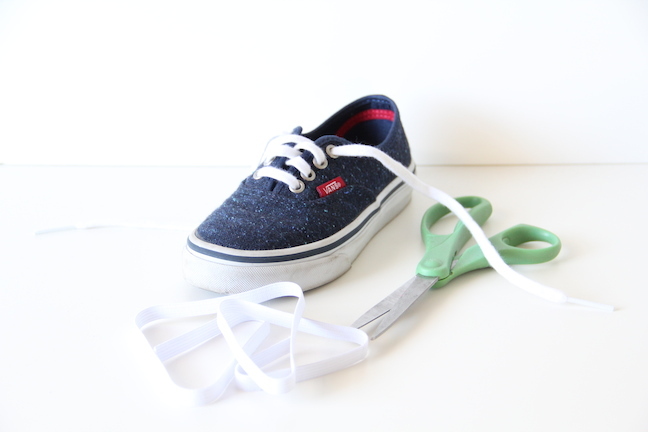 It’s unbelievably easy to make these DIY elastic shoelaces, and your toddlers will love being able to put on their own shoes! Step 1: Remove the laces from the shoes and cut a length of elastic about as long as the lace you just removed. 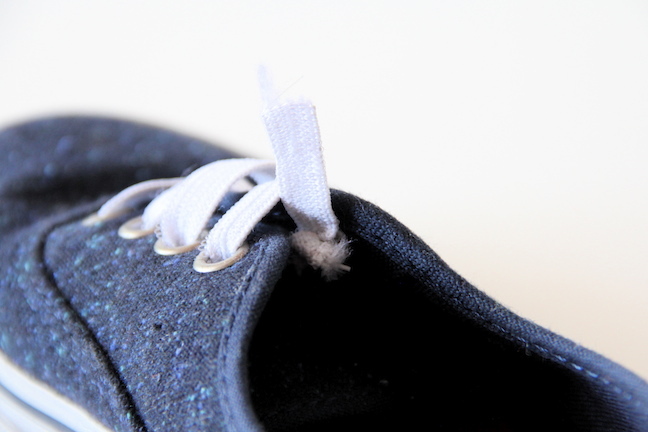 Lace the elastic through the eyelets of the shoes. 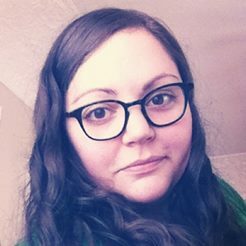 I did the bar-laced look for mine. Step 2: Depending on how you laced the elastic through, you can either tie the elastic off or you can knot it on the inside. And you’re done! Seriously, so easy.